This Lovers Lane home in Ogden Park is looking for its new owner. Priced well below the $200,000 mark, this 1,252 sq. ft. home is perfect for a first time homebuyer. The home is just minutes away from Southdowns (a neighborhood in Baton Rouge, LA) and is part of the Mid-City revitilization district. Please feel free to call me about homes for sale in Southdowns or anywhere in areas 5 and 6 (Greater Baton Rouge), or to create your personalized MLS search. 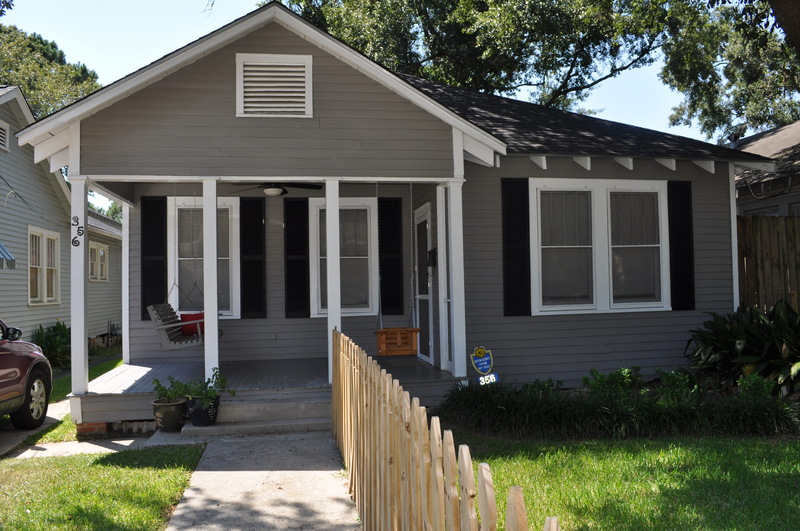 Mid city charming cottage ready for its new owner. Such charm from the swing on the front porch to the picket fence out front. Beautiful wood floors set the stage as you walk into the large living and dining area. Gas logs in the living room keep the home cozy and warm in the winter. Architectural shingle roof was installed in 2008. Once you enter the master bedroom, you will immediately be drawn into the remodeled master bath suite complete with shower/tub and tile floor and surround. New vanity with extended counter works well as a changing/folding area and is conveniently located to the laundry room. The oversized kitchen with gas stove is great for family gatherings and its proximity to the back deck is perfect during the spring and fall months. Schedule your visit today. You’re gonna love this home!